On Saturday, 14th June, Five suspected drug-traffickers were arrested and the Central Narcotics Bureau (CNB) seized $1.3M worth of drugs in an Islandwide operation. This is the second-largest drug haul in Singapore for 2008. The bureau had received intelligence from an unnamed source, that a large consignment of drugs would be delivered by a Malaysian courier to a Singaporean drug syndicate leader, prompting the operation which took a mere two hours to complete. Around $82,000 in cash (believed to be proceeds from drug trafficking) was also recovered and seized. CNB officers watched the activities at around 3pm on Saturday, as the courier and two of the drug syndicate leader's 'runners' liaised at a multi-level carpark in Chua Chu Kang. After the meeting, the three suspects split up and left in two cars. The two 'runners' are both Singaporeans aged in their 30s. The officers followed them to French Road, where they apprehended and arrested them. The officers searched their car (a gold-coloured Chevrolet Optra), and uncovered twelve packets of heroin weighing 5.3kg and a further 100g packet of Ice. The investigations (and potential) charges against the runners include possession of a controlled substance (drug) for the purpose of trafficking. Meanwhile, in parallel to these first arrests, another group of CNB officers had followed the Malaysian courier to Woodlands Road. The officers apprehended this man in his green Proton Perdana, and subsequently arrested him. The 44-year-old Malaysian national was found to be in possession of $3000, also believed to be the proceeds of drug trafficking. He is currently under investigation with charges pending for conspiring to traffic a controlled substance (drug). About an hour after the operation started (app. 4pm), CNB officers then raided the suspected drug syndicate leader's apartment in Jalan Kukoh. He was apprehended along with a female suspect (Investigations are ongoing against the latter). During this raid, the officers uncovered a smaller packet of ice weighing 0.07g, as well as a 'whopping' $79,000 believed to be the proceeds of drug trafficking. The suspected syndicate leader is a male Singaporean, aged 33. He is being investigated for (and will potentially be charged with) conspiring to traffic a controlled substance (drug). To finish off the day, CNB officers raided another apartment in Jalan Bukit Merah, the premises of a suspected drug 'cooridnator'. The 48-year-old Singaporean male was apprehended and arrested, and is being investigated for similar offences as the other suspects. Under Singapore law, all five men (four Singaporeans, and one Malaysian) will be facing the death penalty if convicted of the crimes. 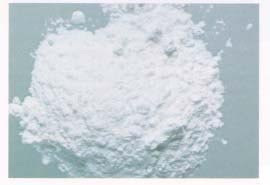 - Heroin is a powerful and very addictive drug that comes in granular, powder or solution form. Heroin No. 4 is white in colour while Heroin No. 3 is more yellowish. 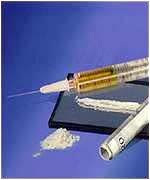 - Heroin abusers feel dull and tired very easily. They cannot work properly as they are not able to concentrate. - "Chasing the Dragon", a common method of abuse used by Heroin abusers in Singapore, involves heating the Heroin powder and sniffing the fumes through a rolled note. Singapore allows you to post pictures and information about heroin? I can't say I feel sorry for them. Singapore had the death penalty for such crimes for a long time. At $1.3M they should know the consequences, yet they took the chance. so you just effectively said your own life is of a price, and age the law determines your fate.